WELLBEING IS fast becoming a key boardroom issue. However, research by the British Safety Council has identified a lot of uncertainty about wellbeing at work. Its report Not just free fruit: wellbeing at work, found that employee wellbeing is often ignored or misunderstood. Employers are unsure how to define it, how to improve it, what priority to assign to it and how to measure the success of wellbeing programmes and interventions. 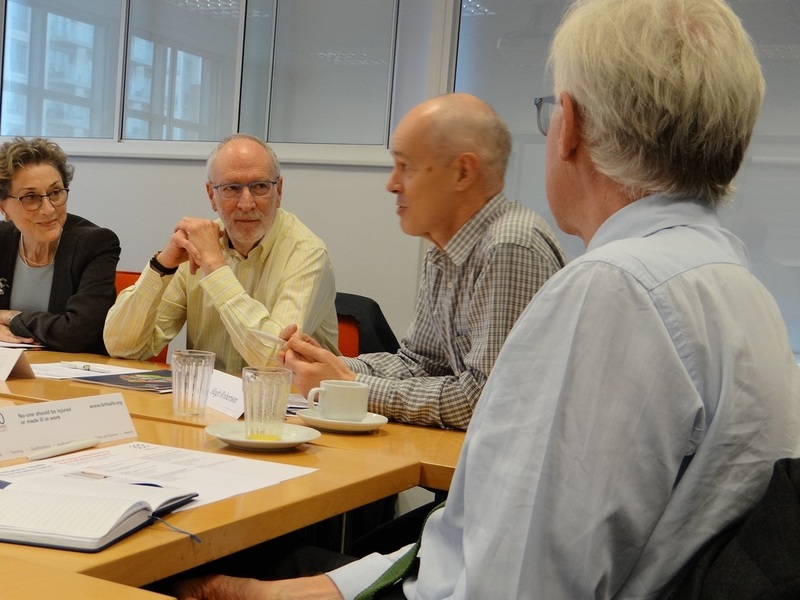 To help organisations solve key wellbeing dilemmas, the British Safety Council, in association with Safety Management magazine, recently hosted a roundtable debate. Some of Britain’s most eminent wellbeing thought leaders and passionate campaigners took part in the session, chaired by Peter McGetrrick, Board Member of the British Safety Council. Attendees included: Professor Dame Carol Black, Professor Cary Cooper, Norman Lamb MP, Charles Alberts, Head of Health Management at Aon, Peter Brown, Deputy Director, of the Health and Work Programme at HSE, Dr Shaun Davis, Global Director of Safety, Health, Wellbeing and Sustainability at Royal Mail, Steve Hails, Director of Health, Safety and Wellbeing at Tideway, James Murray, Managing Director at Vitality and Hugh Robertson, Senior Policy Officer at TUC. They reviewed and challenged concepts and common perceptions of wellbeing at work. At its simplest, workplace wellbeing is a sense of contentment. It consists of physical and mental health and a feeling that you are in a good place when you’re at work. (Prof Carol Black). Chairman of the British Safety Council Lawrence Waterman said, “We were delighted that some of Britain’s most authoritative voices on workplace wellbeing agreed to share their expertise and opinions at our wellbeing debate. Their views and advice helped us to take a fresh look at workplace wellbeing and challenge the accepted views on how it should be managed and measured.